Love is in the air and I mean airborne! 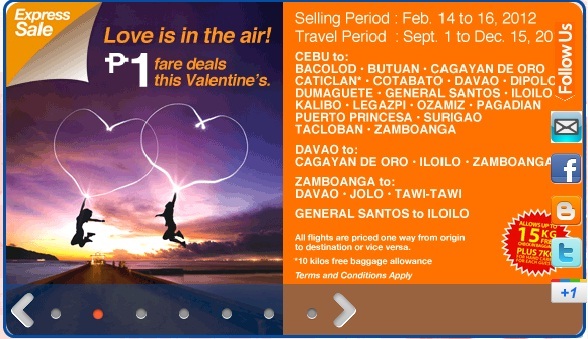 Celebrate this love month with the latest promo fare flights! Try to get a load of this super low fare! Try and use the tips I mentioned from my previous blog. Let's hope you get the best deals. Payment can be done by BDO and LBC. In case you need help in reservation here are the steps. And, yes! PISO fare is back with Airphil! Snag those seats, promo ends by the 16th.